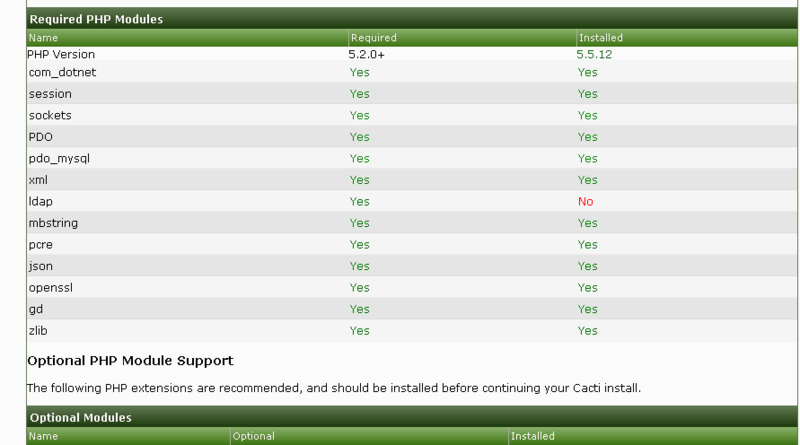 Cacti • View topic - Pre-Installation Checks - LDAP Installed but still "NO"
Post subject: Pre-Installation Checks - LDAP Installed but still "NO"
The last thing I need for all the installation checks is to get LDAP installed. as you can see in the screenshots, also i confirmed the proper dll's are in place. I am not sure what else to do, and why it is not registering as Installed. Post subject: Re: Pre-Installation Checks - LDAP Installed but still "NO"
You probably need to run one of the following (assuming its ubuntu) depending on the system you are running. I've included all four because it changes between some systems and I can't recall if you need the php- in front of the mod name or not off the top of my head. Once you've done that you need to reload apache. I actually got this working, I found this useful comment on stackexchange and it worked. Incase it does not work and also add libeay32.dll and ssleay32.dll." Ah, apologies, didn't realise that you were running this on windows. In case it does not work and also add libeay32.dll and ssleay32.dll." 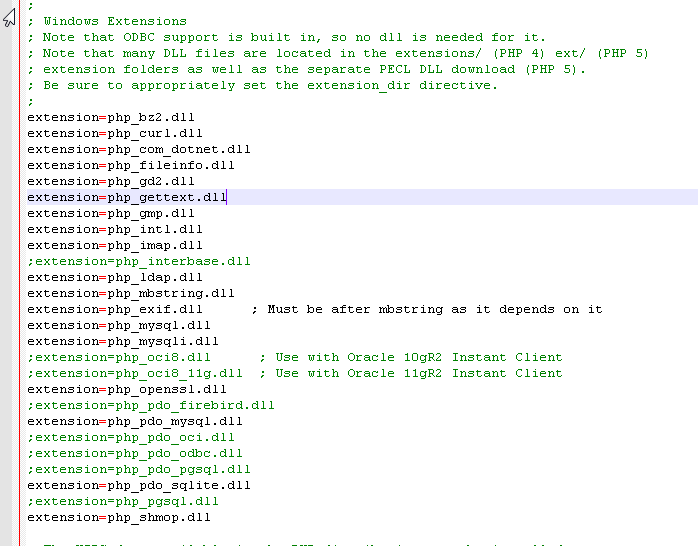 libsasl.dll, libeay32.dll, ssleay32.dll are all in the PHP folder. I have copied all the files in system32 directory but still upgradation from 1.1.37 to 1.1.38 shows error for "ldap" and "openssl" as not installed. both plugin extension are already enabled in php.ini as well.